O-H! I-O! All the Buckeyes are standing up making letters with their arms now….. Battery A: At Murfreesboro, Tennessee with two 12-pdr Napoleons and four 3.80-inch James Rifles. According to the unit history, the battery held two 12-pdr howitzers and a pair of Napoleons through the winter months. 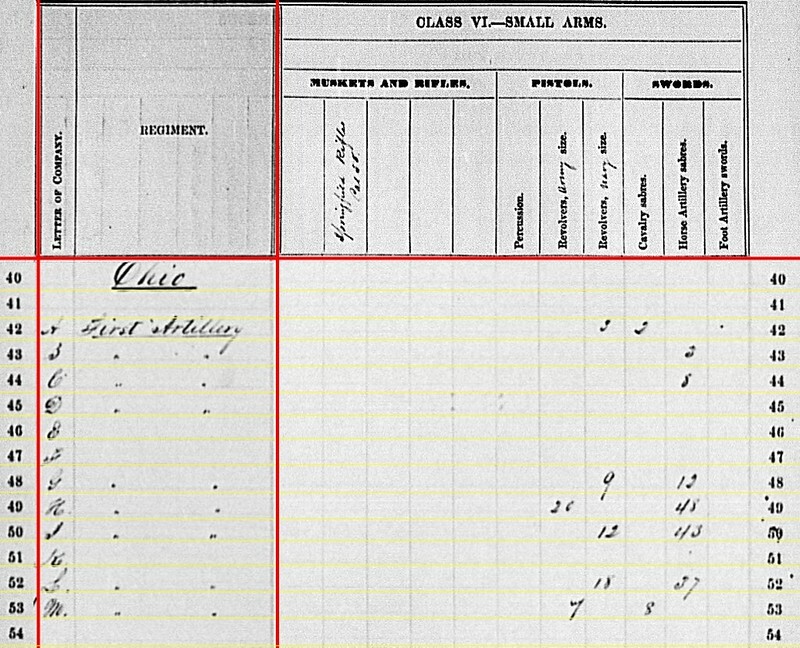 On March 22th, they received four new James Rifles, turning in the howitzers. Captain Wilbur F. Goodspeed resumed command during the winter. Under reorganizations, the battery went to Second Division, Twentieth Corps, Army of the Cumberland. 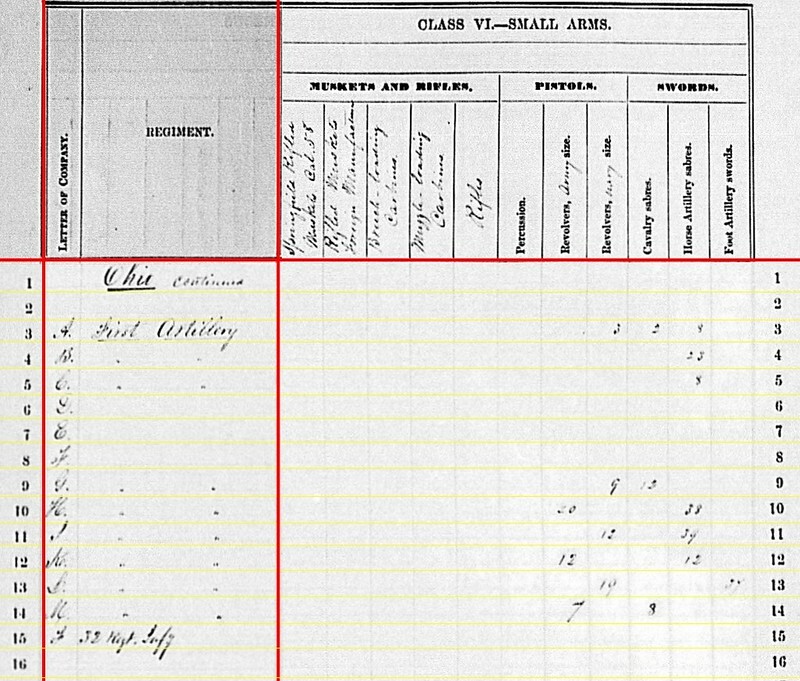 Battery B: Reporting at Nashville, Tennessee with two 6-pdr field guns and four 3.80-inch James Rifles. Remaining under Captain William E. Standart, this battery was part of Second Division, Twenty-First Corps, Army of the Cumberland. And as such, was actually at the forward outpost position (with the rest of the division) “up on Cripple Creek”…Tennessee. Battery C: At Lavergne, Tennessee with two 12-pdr Napoleons (replacing two 6-pdr field guns from the previous report) and four 3.80-inch James Rifles. Captain Daniel K. Southwick remained commanded this battery. Under reorganizations, it was assigned to the Third Division, Fourteenth Corps. Battery D: Wintering at Murfreesboro, Tennessee, with three 3-inch Ordnance Rifles. This report covered just one section, under Lieutenant Nathaniel M. Newell, with the Second Division, Cavalry Corps, Army of the Cumberland. 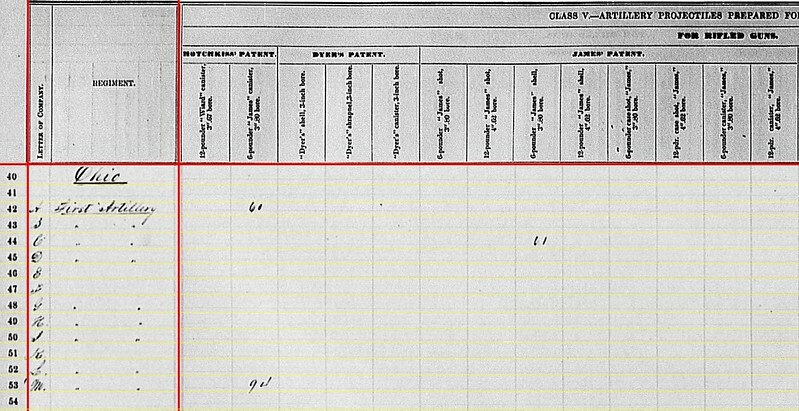 Captain Andrew J. Konkle was the batter commander, but his name does not appear on reports until later in the spring, with a section assigned to First Division of the same Cavalry Corps. Konkle reported ill through the winter, leaving him unable to perform manual labor and the basis for an invalid pension claim after the war. Battery E: No report. Captain Warren P. Edgarton’s battery was initially assigned to Second Division, Twentieth Corps. This battery suffered heavily, losing its guns, at Stones River. As such, it was posted to Nashville through the winter months. Edgarton became the artillery commander of the Nashville garrison. Lieutenant Stephen W. Dorsey assumed command of the battery, which was later assigned to the Reserve Corps, Army of the Cumberland. Battery F: No report. Lieutenant Norval Osburn assumed on the field at Stones River. Later in the winter Captain Daniel T. Cockerill recovered from his wounds and returned to command. The battery served in Second Division, Twenty-first Corps. 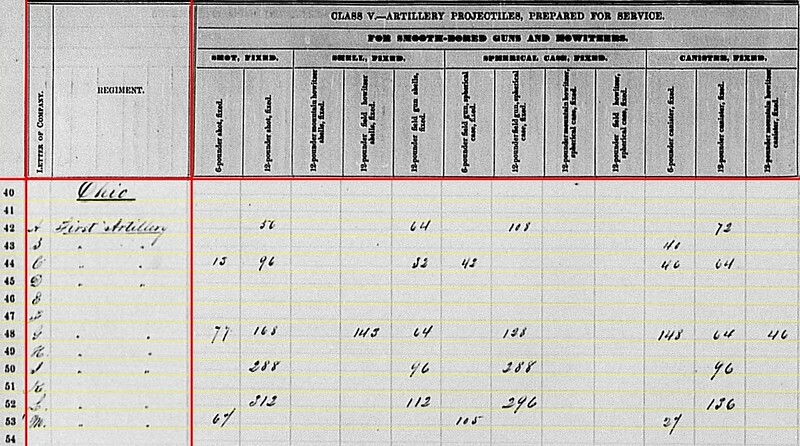 For the previous quarter, reporting two 12-pdr field howitzers and four 3.80-inch James Rifles. But consolidated reports indicate the battery had six 12-pdr Napoleons and five 3.80-inch James Rifles (!). Battery G: At Murfreesboro with four 12-pdr Napoleons and two 3-inch Ordnance Rifles (completely re-equipped after Stones River). Captain Alexander Marshall’s battery assigned to Second Division, Fourteenth Corps. Battery H: At Falmouth, Virginia with six 3-inch Ordnance Rifles. Captain James F. Huntington resumed command of this battery. The battery supported Third Division, Third Corps, Army of the Potomac. Battery I: Reporting at Stafford Court House, Virginia with six 12-pdr Napoleons. Captain Hubert Dilger’s battery were part of Third Division, Eleventh Corps. Battery K: No report. Commanded by Captain William L. De Beck, this battery supported First Division, Eleventh Corps. I believe they were armed with 12-pdr Napoleons at this time. Battery L: At Stafford, Virginia with Six 12-pdr Napoleons. Captain Frank C. Gibbs had command of this battery, supporting Second Division, Fifth Corps. Battery M: Also at Murfreesboro and reporting one 6-pdr field gun, two 3-inch steel guns, and three 3.80-inch James Rifles (considerably different from the previous quarter, but still a mixed battery). Captain Frederick Schultz commanded this battery, assigned to Second Division, Fourteenth Corps. Two tangents to recognize with the administrative details and cannons reported. As mentioned before the Army of the Cumberland’s reorganization from one corps (with wings) into multiple corps caused considerable re-alignment through the winter. Secondly, those same batteries, while not quite up to the level of those in the east, were phasing out the less efficient 6-pdr guns and 12-pdr howitzers. The James Rifles, however, persisted. Battery A: 56 shot, 64 shell, 108 case, and 72 canister for 12-pdr Napoleons. Battery C: 15 shot, 42 case, and 46 canister for 6-pdr field guns; 96 shot, 32 shell, and 64 canister for 12-pdr Napoleon. Battery G: 77 shot and 148 canister for 6-pdr guns; 168 shot, 64 shells, 128 case, and 64 canister for 12-pdr Napoleons; then 143 shell and 46 canister for 12-pdr howitzers. Battery L: 312 shot, 112 shell, 296 case, and 136 canister for 12-pdr Napoleons. Battery M: 64 shot, 105 case, and 27 canister for 6-pdr field guns. So Battery B only had canister for its 6-pdrs. Battery C retained 6-pdr ammunition, at least at the end of the quarter, after turning in two 6-pdrs. But those are small issues compared with Battery G, which had substantial amounts of ammunition for guns it had lost earlier. Battery A: 90 shot for 3.80-inch James. Battery C: 102 shot, 379 fuse shell, and 96 bullet shell for 3.80-inch James. Battery D: 54 canister and 60 bullet shell for 3-inch rifles. Battery G: 77 canister, 96 percussion shell, 120 fuse shell, and 96 bullet shell for 3-inch rifles. Battery H: 96 canister, 450 percussion shell, and 754 bullet shell for 3-inch rifles. Battery M: 56 canister, 115 percussion shell, 40 fuse shell, and 180 bullet shell for 3-inch rifles; 75 shot and 56 bullet shell for 3.80-inch James. Battery A: 60 Hotchkiss canister for 3.80-inch James. Battery M: 94 Hotchkiss canister for 3.80-inch James. Battery C: 61 James shells for 3.80-inch James. Battery A: 440 Schenkl shells for 3.80-inch James. Battery B: 240 Schenkl shells for 3.80-inch James. Battery C: 403 Schenkl shells for 3.80-inch James. Battery M: 102 Schenkl shells for 3.80-inch James. Battery B: 200 canister for 3.80-inch James. Battery M: 42 canister for 3.80-inch James. Battery A: Three Navy revolvers and two cavalry sabers. Battery B: Three horse artillery sabers. Battery C: Eight horse artillery sabers. Battery G: Nine Navy revolvers and twelve horse artillery sabers. Battery H: Twenty Army revolvers and fourty-eight horse artillery sabers. Battery I: Twelve Navy revolvers and fourty-three horse artillery sabers. Battery L: Eighteen Navy revolvers and thirty-seven horse artillery sabers. Battery M: Seven Army revolvers and eight cavalry sabers. Those eastern batteries seemed to carry more small arms than their western counterparts. The state of Ohio put about 320,000 men in uniform. 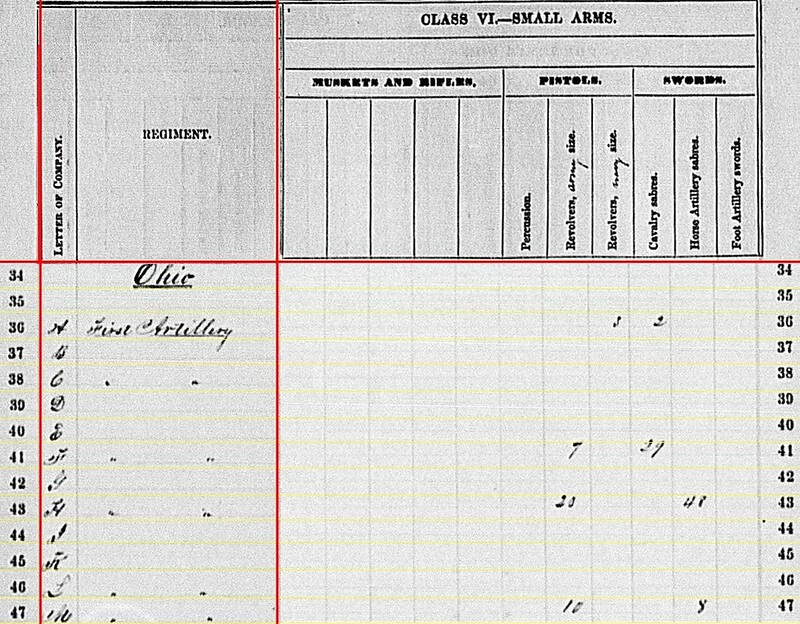 While the majority served as infantry, Ohio provided a substantial number of artillerists for the Federal war effort. These were organized in four regiments and over thirty independent batteries. Two of those regiments were heavy artillery, and thus fall out of the scope of survey here. The three-month 1st Ohio Light Artillery Militia saw active service early in the war. But those batteries were mustered out by July 1861 (though we might trace the origins of the later 1st Ohio Light Artillery to those militia batteries). Four un-numbered independent batteries were raised, but had mustered out by the fall of 1862. 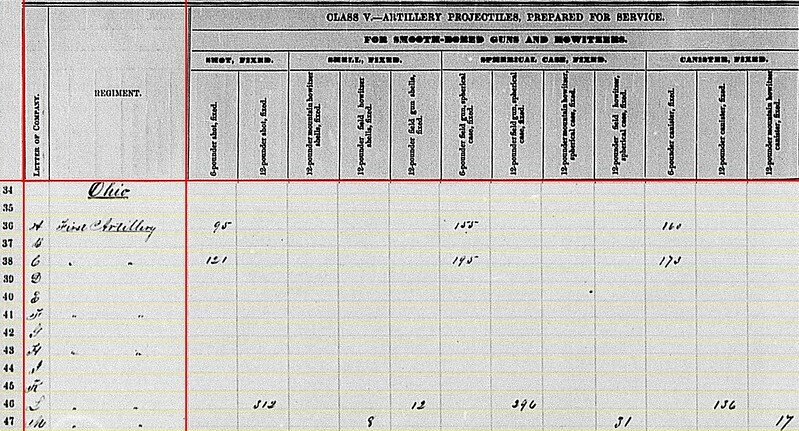 Such leaves us with just the 1st Ohio Light Artillery Regiment and about twenty independent batteries to consider for the fourth quarter, 1862 summary. We see six reports from twelve batteries. And only two of those reporting were received by the end of 1863… so we must keep that in mind when discussing the particulars. Battery B: No report. Was assigned to Second Division, Left Wing, Fourteenth Army Corps, Army of the Cumberland, under Captain William E. Standart. His battery fired 1,610 rounds during the battle of Stones River. At one point in the battle, the battery was down to just 86 rounds. He reported three men killed, 13 wounded, and three captured, and the loss of 21 horses.The battery had a battery wagon disabled, but no guns lost or disabled. Battery C: No location given. Two 6-pdr field guns and four 3.80-inch James Rifles. This battery supported Third Division, Center Wing, Fourteenth Corps, which was not engaged at Stones River. Captain Daniel K. Southwick commanded this battery. Battery D: No report. Most of this battery was captured at Munfordsville, Kentucky on September 17, 1862. 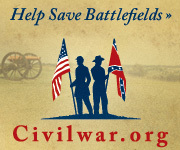 One section, under Lieutenant Nathaniel M. Newell, was assigned to the Cavalry Division, Fourteenth Corps. Newell’s men were actively employed during the Stones River Campaign. Battery E: No report. Another battery in action at Stones River that December. 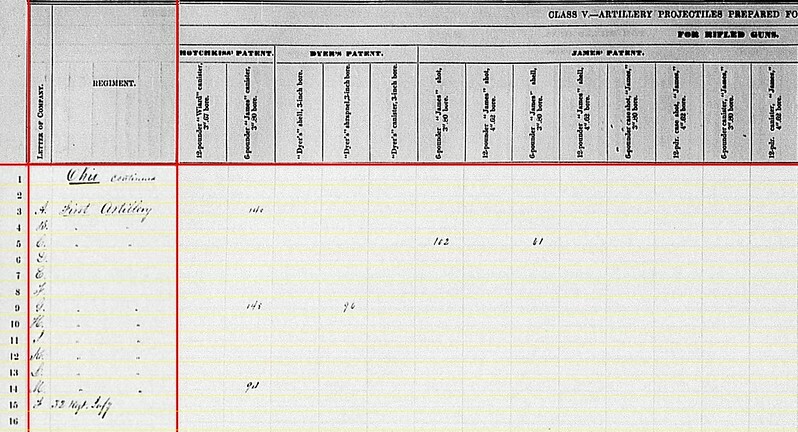 Captain Warren P. Edgarton’s Battery E served with the Second Brigade, Second Division, Right Wing, Fourteenth Corps (beside Battery A, mentioned above). December 31st was not a good day for the battery, with casualties numbering ten killed, seven wounded, and twenty-two captured. Along with 75 horses, the battery lost six guns and other equipment. So a blank entry for this battery may not be far off. Battery F: At Decatur, Alabama with two 12-pdr field howitzers and four 3.80-inch James Rifles. This battery supported Second Division, Left Wing, Fourteenth Corps. So they were at Stones River in December 1862, not Decatur (another discrepancy which may be due to the late return receipt – August 1864). When Captain Daniel T. Cockerill fell wounded, Lieutenant Norval Osburn assumed command in the afternoon of December 30. The battery fired 1,080 rounds in the battle. Battery G: No report. Lieutenant Alexander Marshall’s battery assigned to Second Division, Center Wing, Fourteenth Corps, at Stones River. The battery fired 553 rounds but lost four guns in the battle. In the evening of December 31, 1862, Marshall reported one 12-pdr howitzer and a 6-pdr Wiard, with fifty and eighty rounds, respectively. Battery H: At Falmouth, Virginia with six 3-inch Ordnance Rifles. Lieutenant George Norton commanded this battery in the absence of Captain James F. Huntington. The battery supported Third Division, Third Corps, Army of the Potomac at Fredericksburg. In his official report, Norton indicated the battery “expended 650 rounds of ammunition, chiefly percussion shell… and now has 1,300 rounds of ammunition on hand.” We shall see…. Battery I: No report for Captain Hubert Dilger’s battery. Their six 12-pdr Napoleons were part of Third Division, Eleventh Corps. Battery L: At Henry House, Virginia (?). Six 12-pdr Napoleons. Under Lieutenant Frederick Dorries, this battery supported Second Division, Fifth Corps. Battery M: No location given. One 12-pdr field howitzer and two 3.67-inch Rifles. At Stones River supporting Second Brigade, Second Division, Center Wing, Fourteenth Corps. Captain Frederick Schultz commanded this battery. The battery fired 750 rounds and lost one gun in the battle. Contrast the equipment issued to the batteries with respect to the theater of operation. Eastern Theater receiving the “top cut” as it were. Battery A: 95 shot, 155 case, and 160 canister for their 6-pdr field guns. Battery C: 121 shot, 195 case, and 172 canister for their 6-pdr field guns. Battery L: 312 shot, 12 shell, 39(?) case, and 136 canister for 12-pdr guns. Battery M: 8 shell, 31 case, and 17 canister for their 12-pdr howitzers. Keep in mind the number of guns reported by each battery. The sum quantities above fed a total of nine guns between the four batteries. Battery C: 102 shot and 379 shell for 6-pdr / 3.80-inch James. Battery H: 754 3-inch bullet shell. Battery M: 45 shot and 100 fuse shell for 12-pdr / 3.67-inch Wiard. Battery C’s quantities match the reported weapons, in this case two sections of James rifles. Battery H, of course, had Ordnance Rifles. But Battery M? 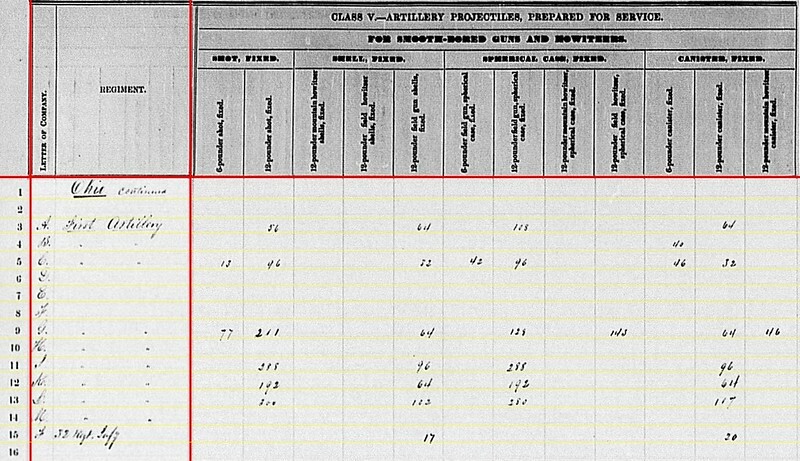 If the first page of the summary is correct, the battery fired projectiles for Wiard rifles from their bronze, rifled 6-pdrs. The caliber fits, on paper. On the other hand, I tend to think this another problem where the “form” did not fit reality. We see no columns for just plain 3.67-inch Hotchkiss projectiles. All Hotchkiss in that caliber have the Wiard label. Yet we know that caliber was not exclusive to Wiard. In short, I think that column title to be less precise than we might presume. Battery C had 61 James-type shells for their James rifles. Battery M reported 30 canister in 12-pdr / 3.76-inch. Battery C again, with 115 Schenkl shells for 6-pdr / 3.80-inch James. Notice how that battery seemed to get the products of several inventors. Just what Norton reported. I like balanced ledger! A belated, 153 year-old thumbs-up for Lieutenant Norton’s report. Battery F: Seven Army revolvers and 29 cavalry sabers. Battery H: Twenty Army revolvers and 48 horse artillery sabers. Battery M: Ten Army revolvers and eight horse artillery sabers. Thus concludes the 1st Ohio Light Artillery, working at the time on the banks of two heavily contested rivers in separate theaters of war. Next we will look at the independent batteries from Ohio.